Chairman of the National Gas Company (NGC) Group of Companies, Gerry Brooks, is encouraging businesses to "embrace" compressed natural gas (CNG) to help reduce operating costs. NGC is the parent company of NGC CNG. 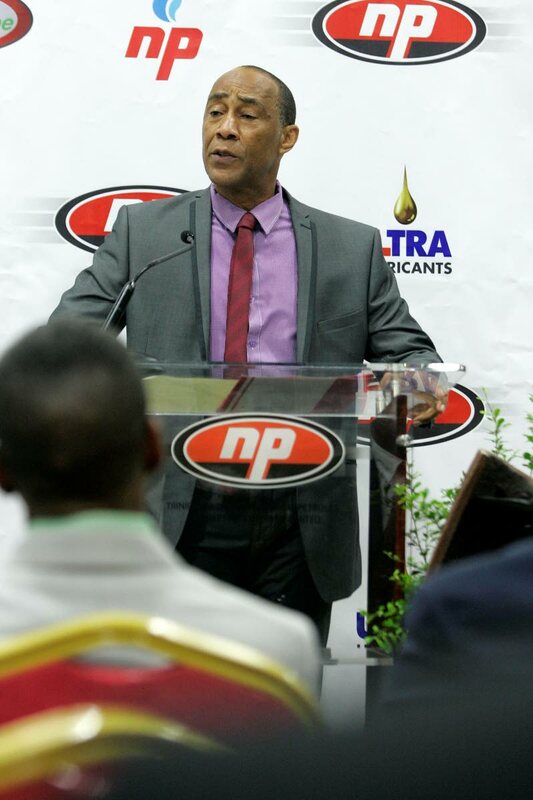 Describing the company's work as "effectively creating an enabling cng industry" in TT, Brooks noted that several State-owned enterprises have or are in the process of migrating part of their fleet to CNG - NP, PTSC, TSTT and Petrotrin. All of NGC's vehicles are already 100 per cent CNG. "Our management team is in discussion with several other entities to switch to CNG," Brooks said. NGC CNG is targeting 1,500 high-mileage drivers; to capture ten per cent of fuel sales, during phase one of this programme. Citing the benefits for those in the sector, Brooks said "conservatively, $225 million in CNG economic activity" has been generated in new vehicle sales, construction, conversions and associated services, all since NGC CNG accelerated operations in 2015. 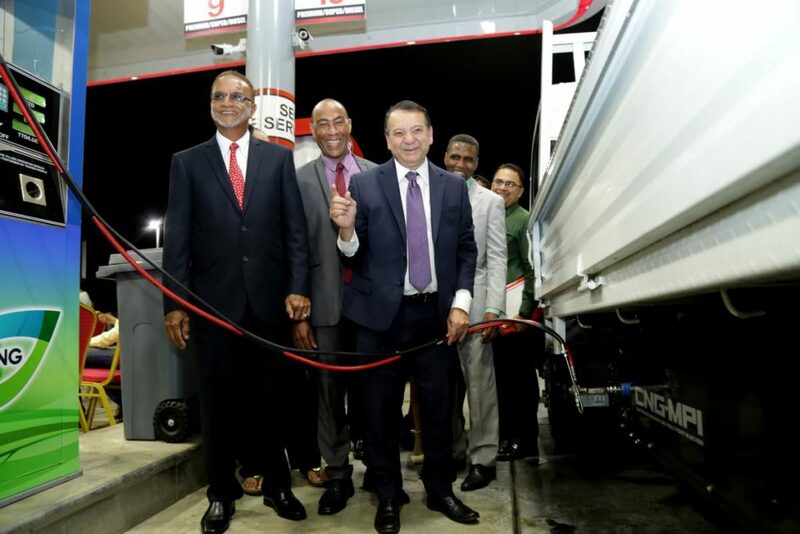 Brooks was speaking at the opening of the 12th CNG supply point at the National Petroleum's (NP) service station in Diego Martin on October 31. Highlighting that this station, like previous ones, was completed within budget, Brooks spoke about plans to do more with less as the State grapples with a reduced income. "From an initial budget of $500 million, our board proposes to exceed the original targets with a reduced budget of $321 million. The country saves $179 million and expands the network from the original plan of 22 to 30 stations by 2019. We are doing more with less! We will also ensure that the $19.1 billion previously spent in fuel subsidy will be saved and redirected to productive growth of our economy." That expansion of CNG-equipped gas stations may now include remote parts of TT. Even as work goes on to open five stations between the end of this year and 2018: Mc Bean Couva; Munroe Road on the southbound lane of the Uriah Butler Highway; Cyrus Road El Socorro; a refurbished Chaguanas station; and Rushworth St San Fernando, NGC CNG is evaluating sites in Sangre Grande, Pt Fortin, Rio Claro and Santa Flora. "There is also a proposal currently before the Ministry of Energy to open a CNG signature station at the Couva Preysal roundabout that feeds into Rivulet road. This will be a state-of-the-art signature station and will have the capacity to accommodate any type of vehicle," Brooks revealed. While more CNG stations opening across Trinidad, plans are in the works to open one at Cove Estate, Tobago in 2018. Returning to his earlier point about the cost-savings of switching to CNG, Brooks gave an example using a 15 to 18-seater maxi. "Based on the current liquid fuel prices of $3.41 per litre for diesel, a maxi taxi...powered by diesel would have had an annual fuel bill of just under $80,000. If you switch to CNG and assuming a 50 per cent CNG substitution, your fuel bill drops to approximately $45,000, saving you just under $35,000. If that owner paid $35,000 to convert from diesel to CNG, their payback would be one year. $35,000 over four years is $140,000. That is the down payment on a house," Brooks said. He added that these savings are compounded by three things: a tax rebate of up to $2,500 on a $10,000 conversion with your tax return; no Value Added Tax; and no motor vehicle tax on original equipment manufacturer (OEM) CNG vehicles up to two years old. "NGC CNG has also introduced several tailor-made incentives for the high mileage market segments, which makes the switch to CNG even more attractive. The payback on conversions frequently ranges from eight months to less than a year in many cases." Reply to "Brooks: Embrace CNG"